Not sure you have enough containers planted? You might be able to do a few more containers, but you have to be careful not to end up paying a premium for plants at the garden centers. I find they offer two types of annual plants right now. There are the half priced flats that have been sitting around since early May that have been picked over or passed up for some reason. Buy with caution, these are probably quite root bound and won’t necessarily live up to their potential. Then there are overpriced larger annuals, grown specifically to be sold as larger plants. I think the growers are targeting the true procrastinators with these plants, which can take a big chunk out of your wallet if you aren’t careful, and do you really want to spend that much on annuals? Didn’t get that new shed, patio, or other hardscape item completed? No problem, summer is a good time to do those types of projects that don’t involve planting. Why waste good spring planting weather on this type of activity, anyway? You may sweat a little more in the summer, but at least your aren’t giving up prime gardening time in the spring on non-planting activities. Didn’t plant those trees and shrubs like you had planned? As long as you haven’t purchased them yet, don’t sweat it. It is true that “fall is for planting”, so this is a good thing to wait on. Didn’t mulch your beds? You can mulch anytime, just get at it, and you’ll be glad you did. The garden will look better with a fresh layer of mulch. Didn’t relax and enjoy the gardens in the spring because you were so busy trying to get everything planted? Now is definitely the time to sit back, relax, and enjoy the gardens. Yes, there are weeds, and places not quite planted, and shrubs to trim, and grass to mow and soon vegetables to harvest. But remember, gardening is supposed to be relaxing and what better way to relax than to just sit back and enjoy the garden world you have created! I bought a hammock for just this very purpose! I just spent my whole day mulching and the beds do look so much better. No, I "didn't relax and enjoy the gardens since I was too busy". But now it's soooo hot, who wants to? LOL. Maybe next year! 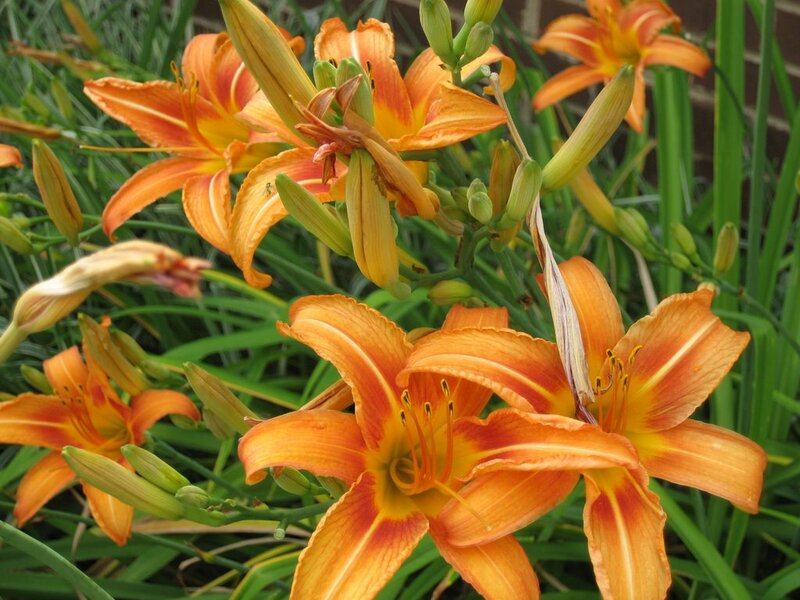 What a delight to see a picture of blooming lilies (my favourite flower). Wonderful 'garden planning' list. VERY practical!